Hewlett-Packard is bringing USB Type-C port to low-cost tablets with the new Pavilion X2 hybrid, but an aging Intel Atom processor scratches some of the shine off the new device.The Pavilion X2 is primarily a 10-inch tablet that can be a laptop when attached to a keyboard base that ships with the product. The USB Type-C port in the tablet will charge and transfer data from the device. The port is mostly found in expensive laptops like Apple's 12-inch MacBook Air and Google's Chromebook Pixel. The tablet ships with up to 64GB of storage, and HP has measured battery life at around 10 hours. The tablet weighs 585 grams, and when attached to the keyboard base, the device weighs 1.1 kilograms. The screen can display images at a 1366 x 768-pixel resolution. The Pavilion X2 starts at US$299.99 and will ship on July 21 with Windows 8.1. That's just a few days shy of Microsoft shipping Windows 10, which is a free upgrade. The hybrid was designed with Windows 10 in mind and will work great with the new OS, said Mike Nash, vice president at HP. While the USB Type-C feature stands out, the tablet has an Intel Atom processor based on the aging Bay Trail design, which has been in tablets since September 2013. Intel's latest Atom tablet chip, code-named Cherry Trail, is now reaching devices, with Microsoft's Surface 3 being the first product. Timing wasn't on HP's side, and it became necessary to ship Pavilion X2 with Bay Trail chip and Windows 8.1 as the back-to-school season was quickly coming to a close, Nash said. But the tablet will soon after come with Windows 10 pre-installed and could also get a processor upgrade, Nash said. HP also announced new Envy laptops with 14-inch, 15.6-inch and 17.3-inch screens. 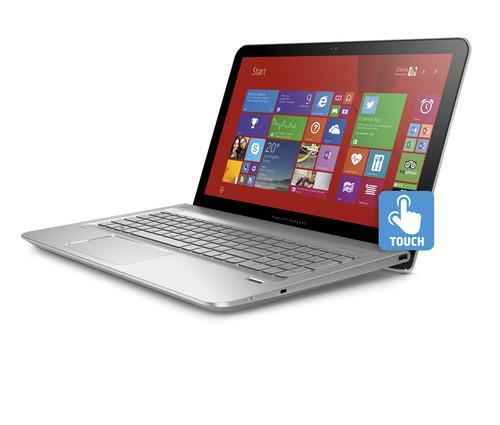 The laptops can be configured with a range of AMD or Intel CPUs and discrete graphics processors. The devices are lighter than their predecessors, offer longer battery life, and have standard ports and wireless features. The laptops will ship in July with Windows 8.1. The Envy 14 will start at $699.99 with an Intel chip, the Envy 15 at $629.99 with an AMD chip, and the Envy 17 at $999.99.